The Keret House in Warsaw, Poland, is the world's narrowest house that is wedged between two buildings on either side and has a maximum width of 152 cm. 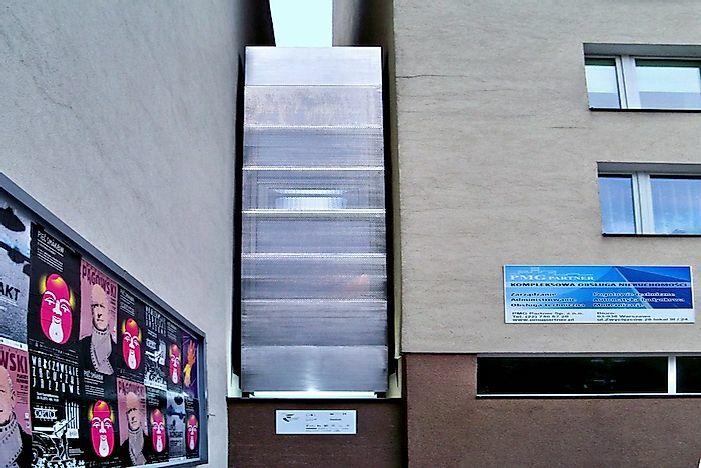 The Keret House is the narrowest house in the world. What Is The Keret House? Regarded as the narrowest house in the world, the Keret House is an art installation and structure located in Warsaw, Poland. The building measures 152 cm at its widest point and 92 cm at its most narrow. The Keret House was designed by Jakub Szczęsny, an architect of the architecture firm Centrala. It was named after the first tenant of the building, Israeli filmmaker and writer Etgar Keret. Although the Keret House is being used as a residence, the house is classified as an “art installation” as it does not meet the building norms of the country. The building of the house was, however, supported by the Warsaw Town Hall and the Polish Modern Art Foundation. Keret plans to hand over the house to a colleague after he moves out. Where Exactly Is The Keret House Located? The Keret House is based between 74 Żelazna Street and 22 Chłodna Street in Warsaw. The structure is in between two buildings, an apartment building, and a pre-war house. Etgar Keret often mentions that staying in the Keret House is a memorial to his family since his parents died during World War II when Poland was occupied by Nazi Germany. The Kennet House is made of iron and has two floors. The building houses a single bedroom, a kitchen, a living area, and a bathroom. Two windows are there but cannot be opened. They are meant to allow sunlight to enter the home. The translucent glass panels of the home also serve the same purpose. The interiors of the house are painted white and the electricity is obtained from a neighboring building. The Keret House has its own custom-built sewage and water systems that are not part of the water systems provided by the city. A small 2-beverage refrigerator is present here. Residents travel by a ladder between the two stories and retractable stairs serve as the entrance and when closed, are part of the living area. What Is a Nail House?